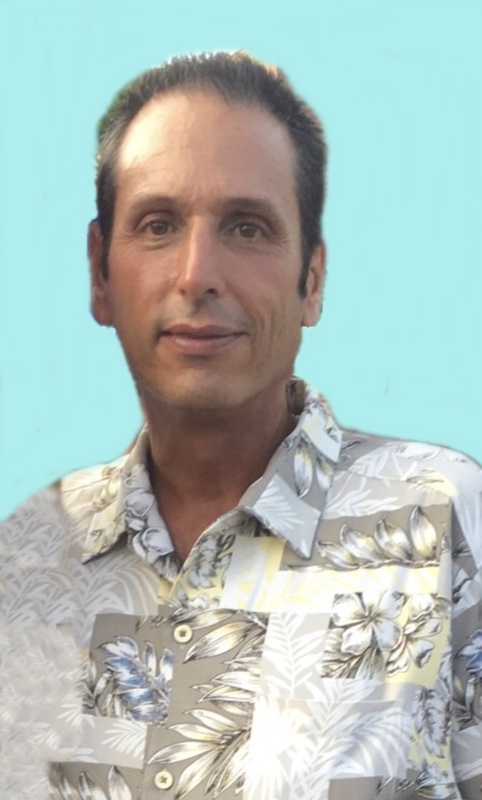 Timothy August Mulinaro, 52, Whiteland, IN passed away peacefully in his home with his daughter Baylie, and wife Jackie, by his side on Tuesday, October 16, 2018. Tim was born on August 26, 1966 in Beech Grove, IN to Johnny G. and Clara May (McCall) Mulinaro. He graduated from Perry Meridian High School in 1984. He married Jackie (Nibarger) Mulinaro on February 29, 1992 in Indianapolis, IN. They were married for 26 years. Tim was the owner of a HVAC Company for many years. He loved boating, music, and vacationing with family, friends, and strangers. He was a friend to everyone and the best gift-giver. Friendship was very important to Tim as he never met a stranger and valued his childhood friendships up until his death. He had a nickname for everyone and inspired many people by his creativity and giving heart. He will be dearly missed by all who knew him. He is preceded in death by his son, Joseph R. Mulinaro on November 27, 2008 and his parents. He is survived by his wife, Jackie (Nibarger) Mulinaro of Whiteland, IN; children, Baylie Mulinaro of Whiteland, IN, Phil Scott Mulinaro of Indianapolis, IN, Sara Voris of Franklin, IN, Josh and Alisha Lewis of Franklin, IN; grandchildren Ava, Addison, Emma, Liam and Lane; brothers, John David Mulinaro (Mara) of Cape Coral, FL, Mark Mulinaro (Debbie) of Franklin, IN; a sister Susie Lindstrom (John) of Greenwood, IN; brothers-in-law and sisters-in-law Steve and Linda Nibarger of Franklin, IN, Sheral Nibarger of Franklin, IN, Doug and Becca Daugherty of Marion, IN; father-in-law and mother-in-law Jack and Opal Nibarger of Whiteland, IN; and many nieces and nephews. A prayer service will be conducted Saturday, October 20, 2018 at 8:45AM at Swartz Family Community Mortuary and Memorial Center, 300 South U.S. 31 (Morton Street) in Franklin, IN, followed with Monsignor Anthony Volz conducting a Mass of Christian Burial at 10AM at St. Barnabas Catholic Church, 8300 Rahke Road, in Indianapolis, IN. Friends may call Friday, October 19, 2018 from 4-8PM at the mortuary. In lieu of flowers, memorial contributions may be made for the college fund of Tims’s daughter Baylie and checks may be payable to Jackie Mulinaro and be given or sent to the mortuary. Online condolences may be sent to the family at www.swartzmortuary.com. Information at 317-738-0202. A prayer service will be conducted Saturday, October 20, 2018 at 8:45AM at Swartz Family Community Mortuary and Memorial Center 300 South U.S. 31 (Morton Street) in Franklin, IN. followed with Monsignor Anthony Volz conducting a Mass of Christian Burial to follow at 10AM at St. Barnabas Catholic Church 8300 Rahke Road in Indianapolis, IN. The Hanza family sends our love and prayers with heartfelt sympathy. We have lots of lovely memories of the Mulinaro family and of Timothy growing up. Tim was one of the funniest people ever known. Everyone loved him. He was humble and kind, and just really nice to everyone. The party didn't start until Tim arrived. The class of '84 lost a great friend and all around good guy.